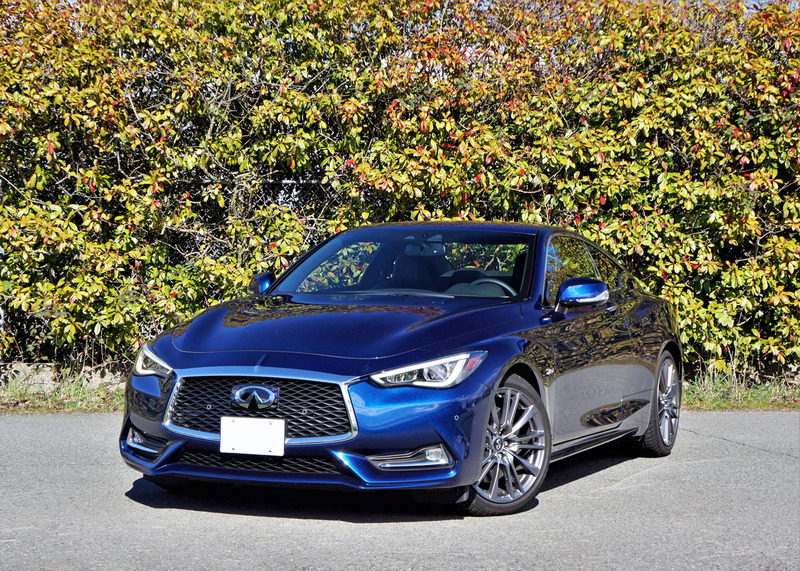 We drove the 2017 Infiniti Q60 3.0t AWD Coupe last fall, and while a wonderfully quick, impressively refined and beautifully sculpted two-door hardtop it was nowhere near the car this Q60 Red Sport 400 is. 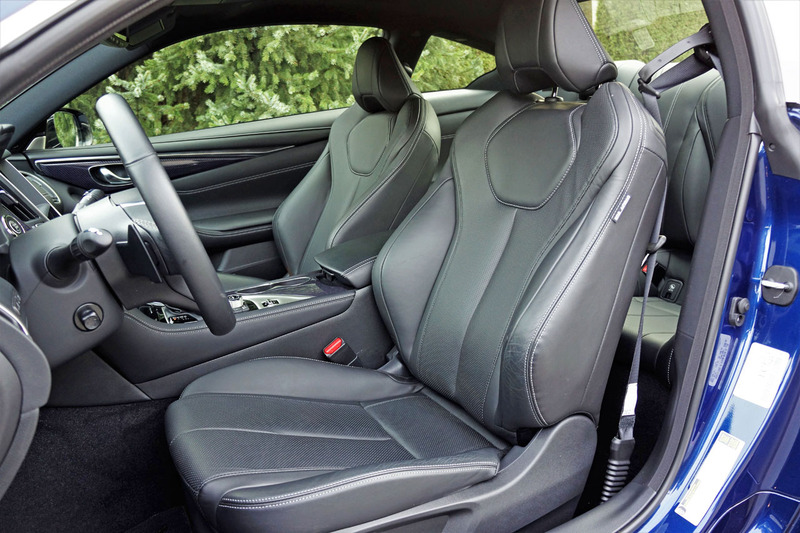 The Red Sport 400 is a BMW M4 for those who prefer subtler styling and less aggressive dynamics. 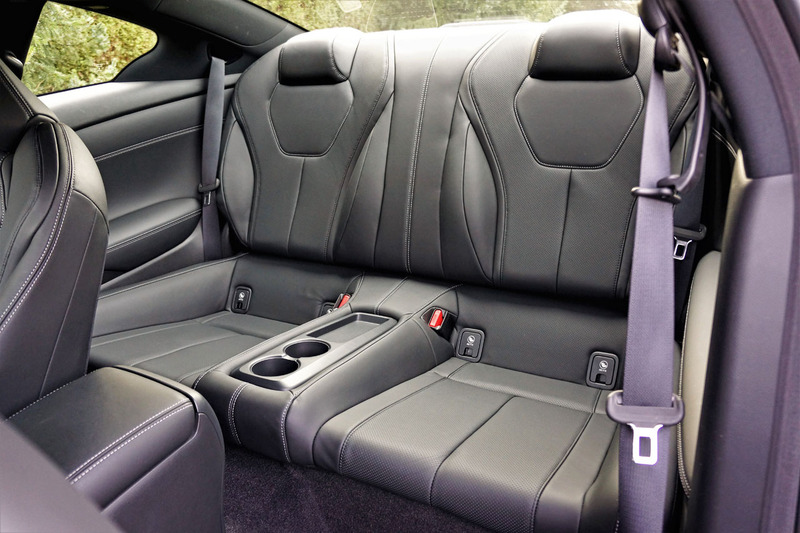 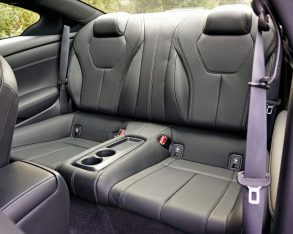 It’s plenty quick with 400 horsepower and 350 lb-ft of torque driving both axles, and its seven-speed automatic rows through the gears fast enough for all but adrenaline addicted track stars, and while it’ll carve up a canyon as well as most super coupes it does so without punishing occupants from a harsh ride. 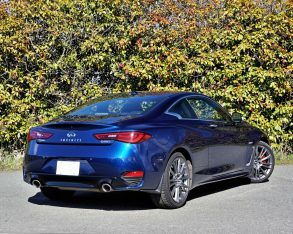 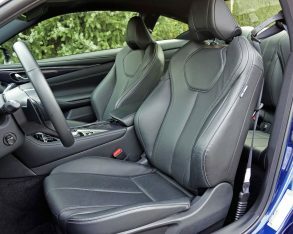 The $60,990 model is one of three Q60 Coupe trims, the base car sporting a Mercedes-sourced 2.0-litre turbocharged four-cylinder with 208 horsepower and 258 lb-ft of torque, and the 3.0t we tested previously equipped with Infiniti’s new 3.0-litre turbocharged V6 capable of 300 horsepower and 295 lb-ft of torque. 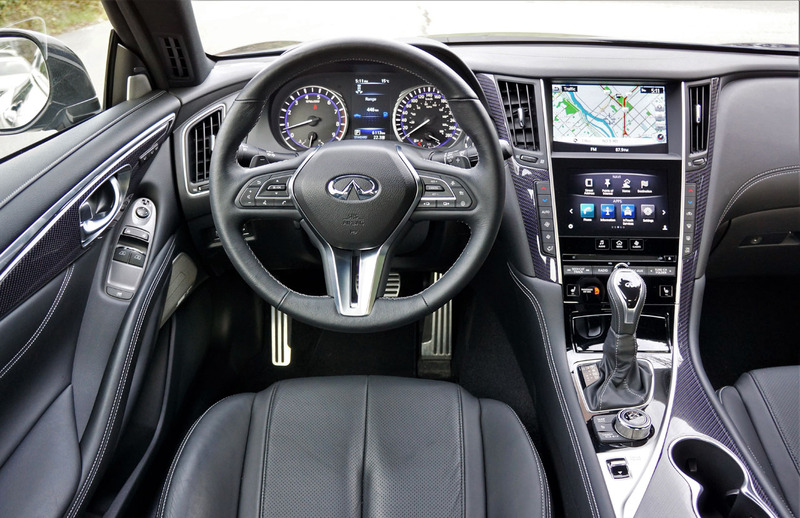 No matter the powertrain every new Q60 drives all four wheels through a quick-shifting seven-speed automatic with rev-matched downshifts, the Red Sport 400 also receiving paddle shifters for greater control during performance driving. 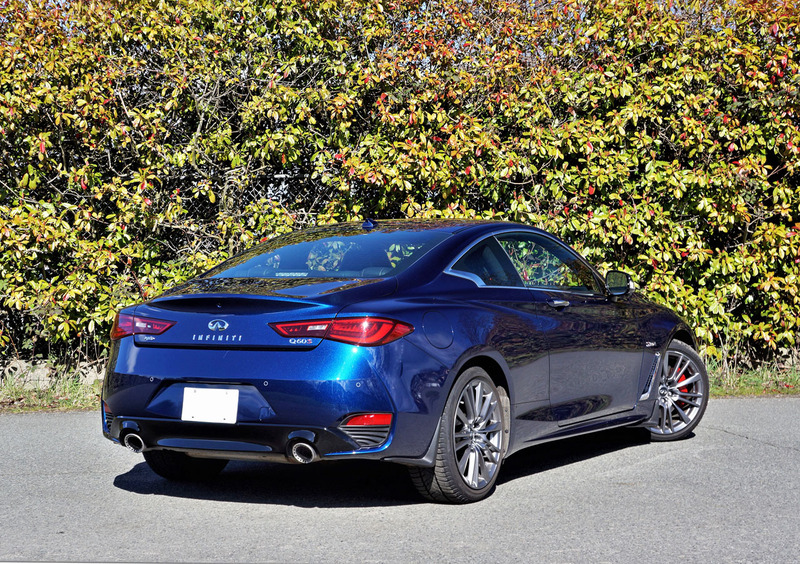 The AWD system defaults to rear-drive when no wheel slippage occurs, or can send up to 50 percent of its torque frontward when required. 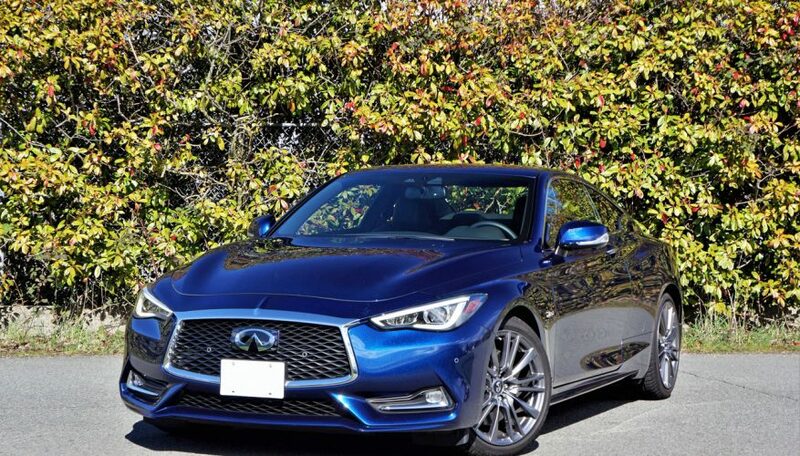 If you’ve driven a Q50 Red Sport 400 (the four-door model that we reviewed last year) you’ll be familiar with this two-door version thanks to beautiful blue-hued glossy carbon inlays throughout, and plenty of high grade contrast-stitched leather on the instrument panel, lower console, door skins, and of course the seat upholstery, the latter of which are fabulously contoured sport seats with plenty of adjustment, while the foot pedals are appropriately formed of metal. 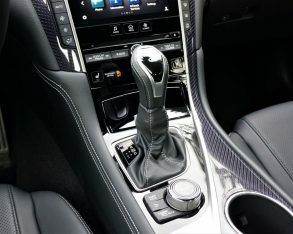 The brand’s dual-display infotainment system resides on the centre stack too, the top monitor controlled by a knurled metal rotating knob on the lower console and the bottom display a touchscreen. 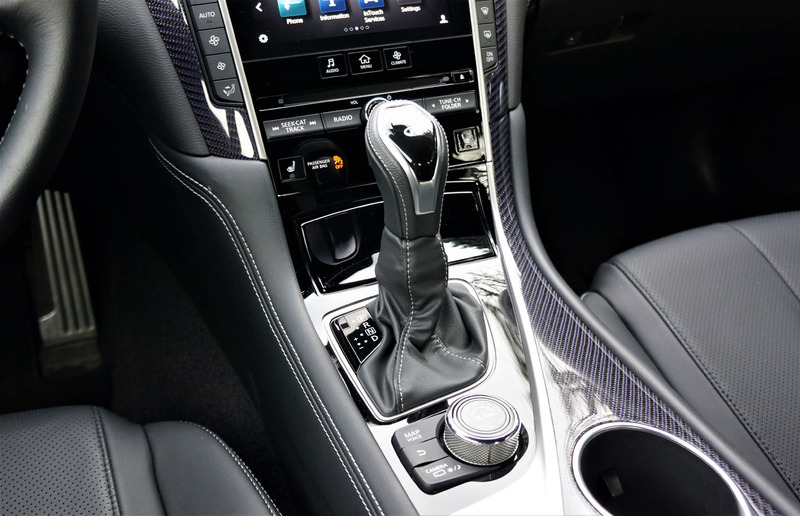 The electroluminescent primary gauges feature a colour multi-information display at centre too. 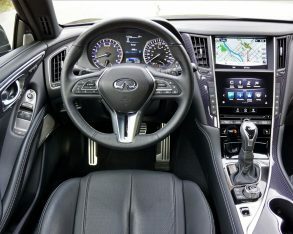 We’ll go into detail about Infiniti’s digital displays as well as the Q60 Red Sport 400’s other features as part of a full road test review coming up soon, while also delving into its assortment of active safety gear that includes dynamic cruise control, lane keeping assist, and more, but most importantly we’ll give you a play-by-play account of this car’s extreme performance.